Yarn Tails: Happy "A" Day! Hubby and I are spreading out our anniversary celebration over 3 days this year - appropriate after 36 years together, don't you think? Although our actual anniversary is Tuesday, we exchanged gifts on Sunday and our road trip to points slightly North starts today. 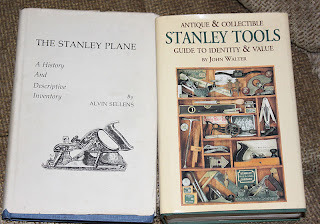 Since hubby loves collecting Stanley tools, especially wood planes from the 1800's, I got him two books that together cover all things "Stanley". 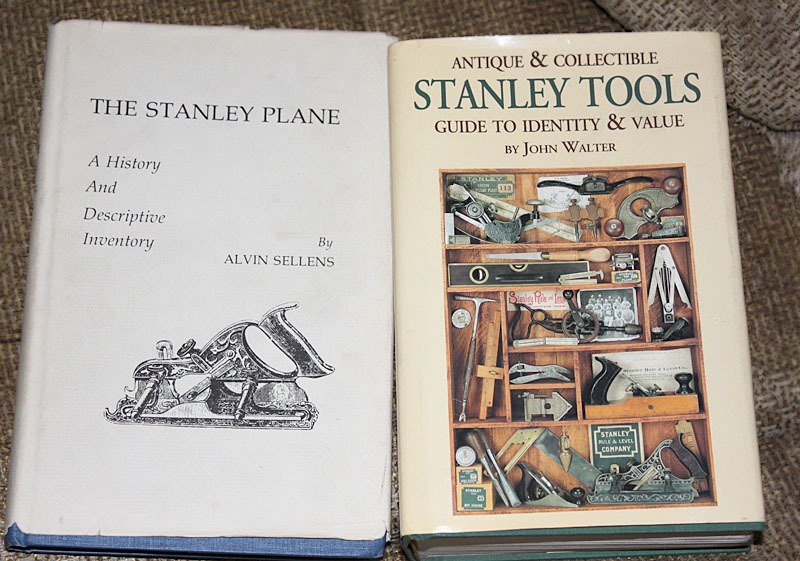 Each is long out of print and it took a bit of searching, but I finally found copies of both. And what did hubby get me? Lots and lots of pretty red and white bags. Can you see what the tags say? How about now? Oh, yeah. 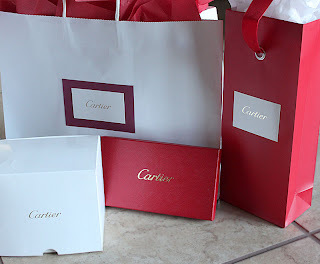 Ever since we went to the Cartier exhibit in San Francisco back in March, hubby has been secretly collecting bits and pieces* of Cartier for me. 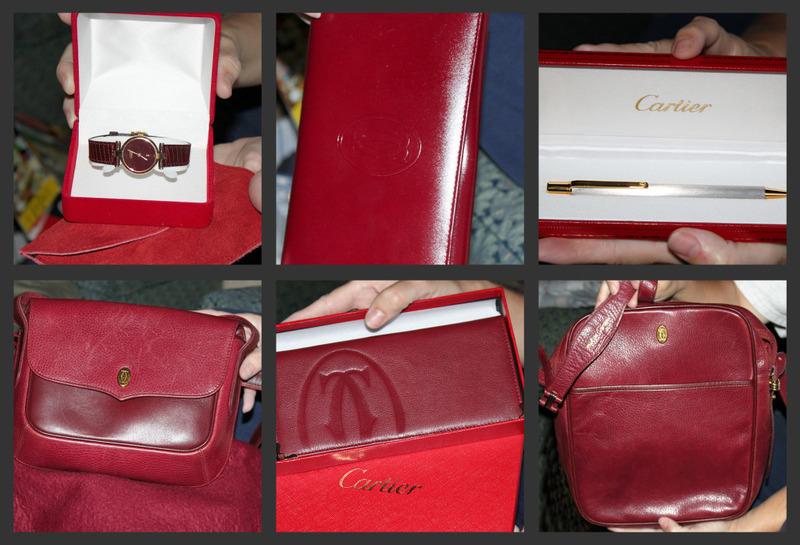 I love red - I'd asked him to find me a red watch - so this is perfect. And the bag in the bottom right corner? Fits my iPad perfectly. I'd probably be horrified at the budget busting cost of all this if he hadn't spent those past 6 months bargain shopping and tracking down seriously discounted items. So, not only is he handsome and loving, he's also pretty dang smart. Think I'll hang on to him for another 36 years. *'Must de Cartier' collection including watch, wallet, pen, purse (with it's own dust cover/bag), checkbook cover, iPad bag and hard-bound catalog. 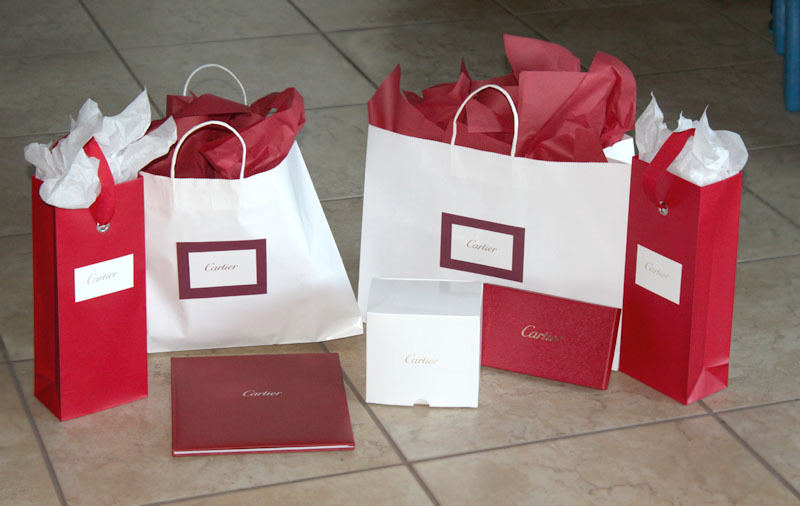 Congratulations on 36years of marriage - enjoy your celebrations and the lovely, thoughtful gifts! What a stud. Happy Anniversary! Hey, no "thanks Marie for the awesome pictures"? Sigh, taken for granted.